Ever since I was a little girl, my father always instilled in me that we are supposed to leave the world a little better than how we entered it. By doing so, we honor God for the life that he generously breathed into us. Blessed with such a dynamic nephew, the Michael Trouble series is my way of turning my family’s greatest tragedy into a point of inspiration. It is my contribution to the whole. Together our goal is to help other children and families that are facing a similar situation. Out of darkness will come light. Now, in a new and improved body, Michael Trouble can continue his mission of love, hope, and humor on our planet… using his wacky aunt as a catalyst for his very cool mission. Encountering other authors that have been ordained with a similar mission, it humbles me to be in the company of such wonderful people. 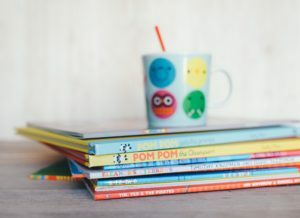 With the common goal of helping children and families through very difficult and sensitive situations, we all have our own unique ways of approaching these emotional subjects. A fantastic author named Marge Heegaard is one of my favorites. She too has created an interesting book called When Someone has a Very Serious Illness that helps children cope with loss and change. Designed to be illustrated by children, this book is a tool for self-expression and release. This particular concept and style are quite helpful. Janis Silverman is another asset to the pediatric community with her thoughtful books such as Help Me Say Goodbye: Activities for Helping Kids Cope When a Special Person Dies. Utilizing the helpful aspects of art therapy, children are encouraged to illustrate their way through troubling emotions. Author Amy Barrett Lindholm also utilizes a similar approach in her engaging book called After a Death: An Activity Book for Children. She also urges children to illustrate their afflicted emotions in order to reach a healthier state of wellness and understanding. Although the Michael Trouble series, as well as the aforementioned authors, create children’s books dealing with pediatric illness, author Julie Kaplow explores another aspect of family loss. Another valuable resource for children is her story entitled Samantha Jane’s Missing Smile: A Story About Coping With the Loss of a Parent. It handles the feelings of grief, worry, and confusion regarding the death of a parent. Walking a similar path, our combined goal as authors is not only to provide the children we love with fun and healing story and activity books, but also to equip your team with a medical tool that may help the children understand their various care processes, treatments, and concerns at a more relatable level. To the spirited authors in our field, thank you so much for your contribution to the whole. You have all greatly inspired me. My wish is for light to continue illuminating our unique paths.